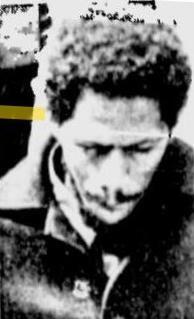 On this date in 1977, Black Berets Larry Tacklyn and Erskine “Buck” Burrows were hanged in Bermuda for assassinating the islands’ police chief and governor. A revolutionary black nationalist organization, the Black Beret cadre took its name from that Che Guevara photograph and its model from the Black Panthers. Its purpose was to indoctrinate young black Bermudians in communist revolution and the ideology of Black Power. Cadres Tacklyn and Burrows were one part liberators of their oppressed brothers, one part common criminals. In 1972, they gunned down white police commissioner (a veteran of Britain’s colonies) George Duckett; in 1973, they ambushed governor (and former Tory M.P.) Richard Sharples and slew him, along with his aide-de-camp. Neither perp was apprehended, which meant they went on to kill a couple of supermarket executives before someone I.D.’d Tacklyn. Burrows stayed on the lam long enough to rob a bank of $28,000. The trials were a sensation — apt for the involvement of sensational Bermudian lawyer and politician Julian Hall — with Burrows convicted all around. He openly avowed the political murders. The motive for killing the Governor (his ADC was not our objective, he was shot only because he happened to be with the Governor at the time) was to seek to make the people, black people in particular, become aware of the evilness and wickedness of the colonialist system in the Island of Bermuda. Secondly, the motive was to show that these colonialists were just ordinary people like ourselves who eat, sleep and die just like anybody else and that we need not stand in fear or awe of them. Finally, the motive was to reveal to black people unto themselves. This refers to the revealed reactions of many black people during the Governor’s funeral, when black people were seen to be standing with tears in their eyes, crying for a man who when he was alive didn’t care if they lived or died and here they were crying for a white Governor and yet when many of their own people pass away there is sometimes hardly a tear shed for them. This shows clearly the evil effects that the colonialist propaganda has had over the long years they have ruled over this little Island. That wasn’t the only thing that was hanging. Massive riots rocked Bermuda after it became known that eleventh-hour clemency bids were rejected; “Fires erupted across Bermuda,” Reuters report, “causing millions of dollars in damage as a dusk-to-dawn curfew failed to halt the racial violence.” (Per Chicago Tribune, Dec. 3, 1977) British troops were deployed to help quell the riots. Tacklyn and Burrows were the first people executed in Bermuda in 34 years, and remain the last executed there to this date.